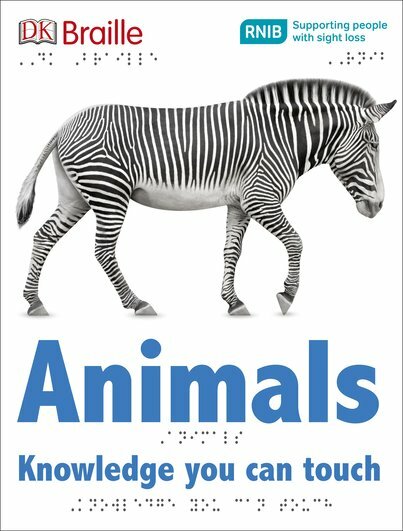 Explore animals with DK Braille! How do a gibbon’s paws grip? What shape are a tiger’s jaws? What does a snake’s skin feel like? Find out in this book. You’ll meet the planet’s most amazing creatures, from bears and big cats to bugs. But you won’t just read about them. You’ll touch and feel them too! (Where else do you get to stroke a tiger?) Each page is written in both braille and large print, with high-contrast pictures of each animal. Plus – the pictures are touchable, with embossed outlines and fuzzy fur. Cool!